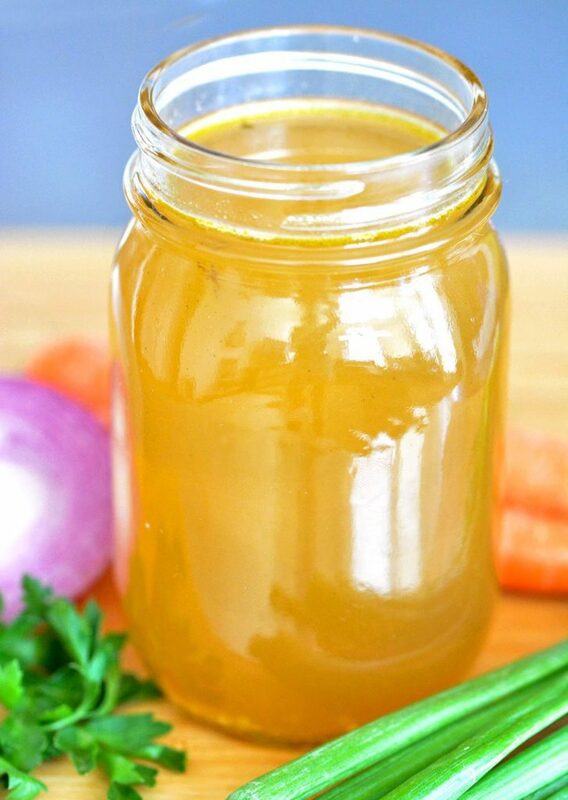 Quick and easy homemade vegetable stock featuring a ton of vegetables and flavor. It’s officially the first day of summer! With it comes our favorite grilled recipes and fruity cocktails including: San Diego Style Carne Asada, Spicy Orange Grilled Chicken Wings and our new favorite Grand Marnier and Lillet Blanc Raspberry Peach Summer Cocktail! These recipes are what last meals are made of! While the summer weekends are loaded with high calorie favorites, we like to chill and kick back during the week. We avoid turning on the oven at all costs. As such, we’re more likely to make quick soups, during June, July and August. We know. We’re a little backwards but we like being different. Over the years we’ve switched to using homemade vegetable stock, in place of chicken or beef stock, when appropriate. Our Egg Drop Soup is a killer place to use our Vegetable stock recipe. It calls for chicken, since most people use store bought broth and the flavors mesh best with chicken, but when you’re making your own stock a Vegetable stock can easily fit the bill. Unlike store bought vegetable stock this isn’t loaded with sodium. We add a smidgen, but the recipe in which you’re making should really dictate the amount of salt (or high in salt foods) that needs to be added. Years ago we looked up the ingredients in Swanson Vegetable Broth. We wanted to know what the store bought brands concentrated on. The ONLY three actual vegetables used: carrots, onions and celery. Yep, that’s it. So that’s what we usually use as our base. Many vegetable stock recipes calls for bell peppers, mushrooms, tomatoes, etc. but we like a pure flavor. 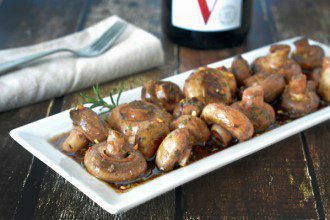 Mushrooms are the exception….if we have some to use up we’ll add those to the mix to highlight the umami flavor. 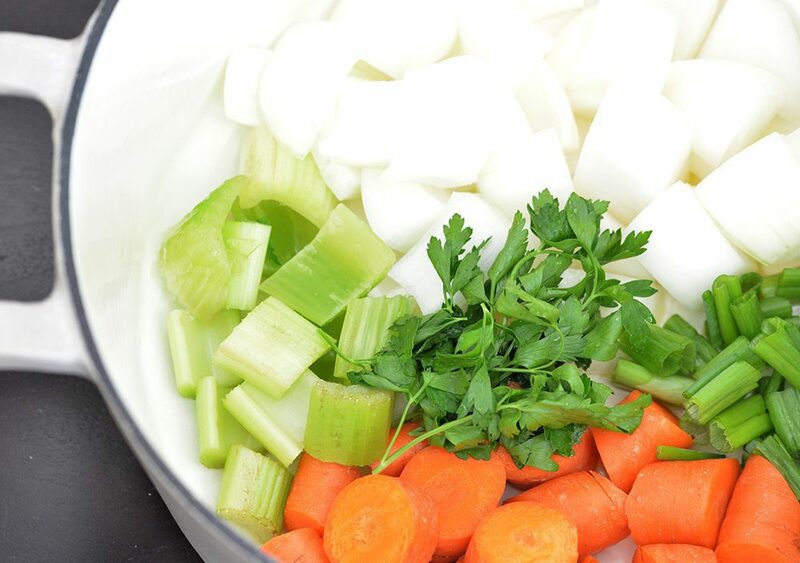 Many readers have used us what the difference between vegetable broth and stock? The difference as it relates to a veggie based product is different than a meat/bone based broth. For a vegetarian based product “Broth” is seasoned, while “Stock” is not. 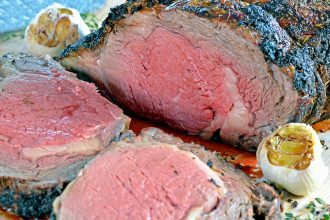 We provided both options in this recipe – with or without the salt/pepper. Throw in whatever left over vegetables you have if you like a more intense flavor. Avoid anything too bitter as this will directly affect the final flavor. Think Brussels sprouts, broccoli, cauliflower, etc. Bitter – No Bueno. We’re big believers in starting with high quality ingredients, including the water. We use filtered water vs tap water when we make homemade stock. 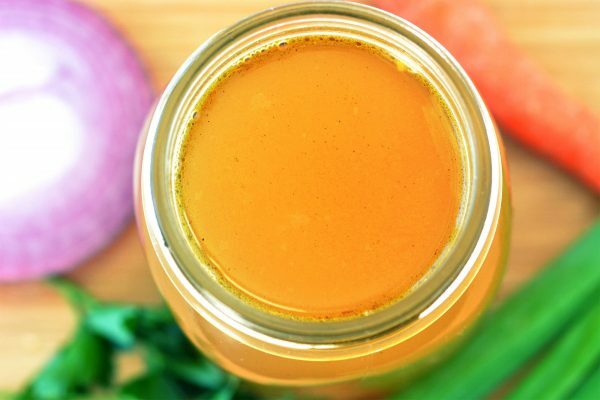 Interested in making Roasted Vegetable Stock? You can roast all the veggies at 400 degrees for 45-55 minutes to really bring out the vegetable flavors. We skip this step in the summer months, but take the extra time to do it come winter. 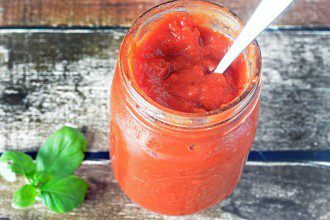 This vegetable stock will keep in the freezer, in an air tight container or Ziploc, for up to 6 months! Heat a large stockpot over medium high heat. Add the olive oil, onions, celery, carrots and green onions and heat for 8-10 minutes, stirring frequently. Add the garlic, parsley, thyme and bay leaves and heat for 2-3 minutes. Add the peppercorns, salt and water and bring to a rapid boil. Turn down the heat to medium low and let cook for 30 minutes, uncovered. After 30 minutes, pour through a mesh sieve into a large glass bowl. Discard the solids or store for another use. 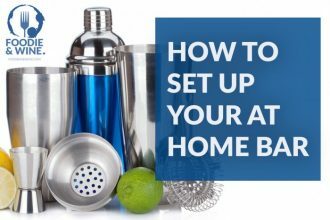 Store the stock for up to 3 days in the refrigerator or up to 6 months in the freezer.